The Glasshouse Heritage Centre (formerly the Webb Corbett Visitor Centre) is a heritage visitor attraction telling the 400 year old story of glassmaking on the site and in the Stourbridge area. 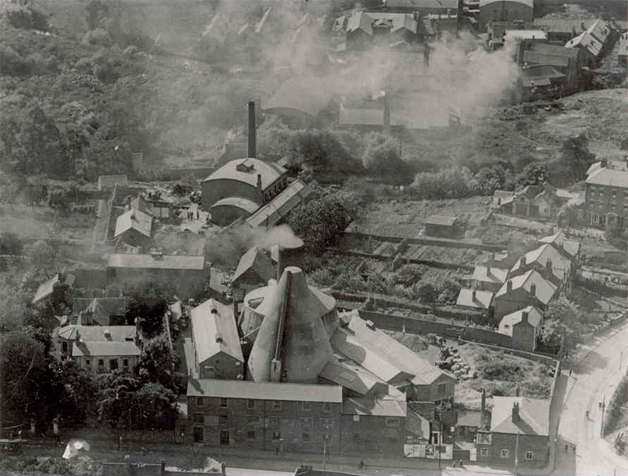 With imaginative use of video, photographs, artefacts and other such media the Heritage Centre provides an in depth insight into the journey of the site, the buildings and the social impact of the glass industry to the people of the area right up to the present day, including the work of Ruskin Mill Trust. Despite the richness of the information and artefacts in the Heritage Centre we are still in the process of piecing together the history of the site. We particularly want to capture the memories of local people to help us to piece together our exciting and interesting past and to add to the story. We realise that many of the key events and milestones that have happened are centred on the key individuals, teams or departments of the factories and organisations that once were. To this end ‘WE NEED YOU!’ to share any photographs that we can scan, and tell us your memories and stories, some that may have been passed down through the generations, that we can share. The Heritage Centre is usually open to visitors Wednesday Thursday and Friday 10am until 3pm. We also open the last Saturday of each month. However it is looked after by part-time staff and volunteers and we cannot guarantee that it will always be open at these times. To avoid disappointment we would ask that you check that the Heritage Centre is open before arranging your visit. We welcome tours of the site by larger groups, but ask that these are arranged in advance. 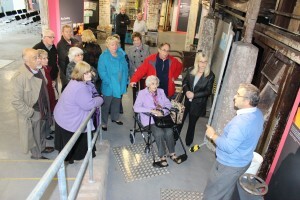 We can arrange talks, refreshments, including lunches and demonstrations of glass-making and cutting skills, as well as encouraging some opportunities of ‘retail therapy’ Combined visits can be organised with other local glass-related attractions, including a walk along the canal that links these sites, much a key feature of the economic development of the area and glass industry. We also provide speakers on the local glass industry for outside events and meetings. Please do not hesitate to contact us and discuss your thoughts and needs.